GWIC features current hydrographs for wells that are being measured regularly by MBMG and its cooperators. Click the picture to to the left to view data collected by the Statewide Monitoring Program. Data from other MBMG projects are available through the SWL Menu after you sign in. View statistical overviews of the well data in individual counties. Select the county name from the drop-down box to the right and click the Go! button. Enter your User Id and Proposed Data Use. Click Sign In to access GWIC's online services. If you do not have a User Id, click create one here. To address requests from citizens concerned with increased development and new development practices, the MBMG collaborated with the Montana Department of Natural Resources and Conservation (DNRC) and the Montana Department of Environmental Quality (DEQ) to characterize groundwater quality near current oil and gas development. Analyses included a wide range of organic constituents, isotopes of carbon and hydrogen of methane, and the standard inorganic analysis. GWIC also houses the results of sampling by the Montana Salinity Control Association (MSCA), who worked with the DNRC to collect domestic-well samples from concerned landowners. 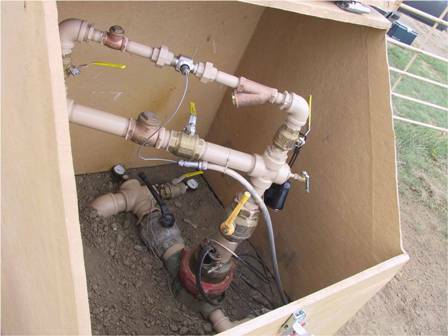 MBMG operates the Montana Powder River Regional Coalbed methane ground-water monitoring network of springs and wells. Data for this program plus site specific research such as coalbed methane infiltration pond studies can be viewed online, or downloaded from GWIC. Click on the picture to access the MBMG coalbed methane project data. The Ground Water Information Center (GWIC) at the Montana Bureau of Mines and Geology (MBMG) is the central repository for information on the ground-water resources of Montana. The data include well-completion reports from drillers, measurements of well performance and water quality based on site visits, water-level measurements at various wells for periods of up to 60 years, and water-quality reports for thousands of samples. The databases at GWIC are continually updated with new data from driller's logs, MBMG research projects, and research projects from other agencies.